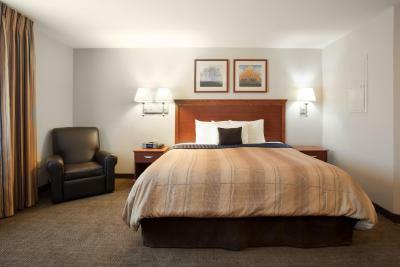 Lock in a great price for Candlewood Suites Parachute – rated 9 by recent guests! Staff went out of way to get me a room of my choosing. Bed was very comfortable, the staff was really nice and competent. Easy to find off I-70. Bed comfortable nice kitchen facilities although I did not use it. Spacious room. A/c powerful. Kitchenette with many amenities in drawers and cabinets. All areas very clean. The bed was comfortable. Property was easy to locate. Checked in late and was not a problem. Bed was comfortable - room was clean. Evdyone spoke English and was very friendly many people tuning these hotels off the freeway are hard to under stand. The staff was friendly and very polite. Loved the free laundry facilities. Very clean and above what I expected for the area. Kathy made us feel like we were the most important guests she had ever had. Later when i came down i noticed that she treated all of the guests this way. She has a talent for making everyone feel like family. All of the staff were friendly and helpful. This hotel has an awesome team. Candlewood Suites Parachute This rating is a reflection of how the property compares to the industry standard when it comes to price, facilities and services available. It's based on a self-evaluation by the property. Use this rating to help choose your stay! Each air-conditioned room includes a fully equipped kitchen with a dishwasher, a refrigerator, a microwave, a stove top and coffee-making facilities at Candlewood Suites Parachute. An private bathroom with a hairdryer is also provided. Guests can enjoy a fitness center and a business center at Parachute Candlewood Suites. BBQ facilities are offered. A convenience store is provided. Powederhorn Ski Resort is 47 miles from Candlewood Suites Parachute. Rifle Falls State Park is 45 minutes’ drive from the hotel. This property also has one of the top-rated locations in Parachute! Guests are happier about it compared to other properties in the area. This property is also rated for the best value in Parachute! Guests are getting more for their money when compared to other properties in this city. When would you like to stay at Candlewood Suites Parachute? 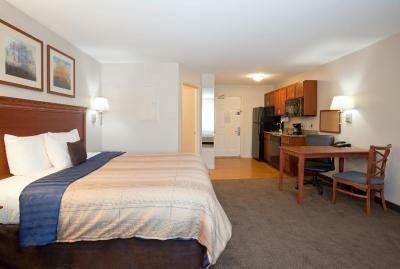 This room includes a work desk and a flat-screen TV with cable channels and a DVD player. A fully equipped kitchen with a dishwasher, a refrigerator, a microwave and a stove top are provided. 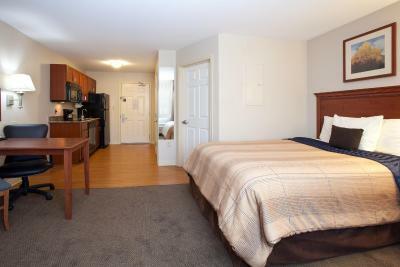 This studio includes a work desk and a flat-screen TV with cable channels and a DVD player. A fully equipped kitchen with a dishwasher, a refrigerator, a microwave and a stove top are provided. 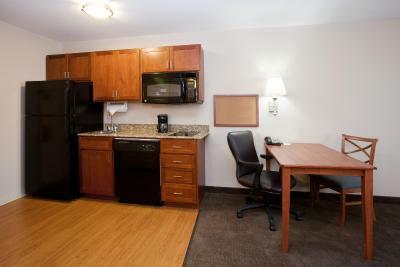 This suite includes a work desk and a flat-screen TV with cable channels and a DVD player. A fully equipped kitchen with a dishwasher, a refrigerator, a microwave and a stove top are provided. House Rules Candlewood Suites Parachute takes special requests – add in the next step! Candlewood Suites Parachute accepts these cards and reserves the right to temporarily hold an amount prior to arrival. Curtain rods in living room were broken. Conditioner and shampoo bottles installed in shower were not either filled or working properly. Could not get enough product dispensed to use. Staff very friendly. Room was comfortable. The first night they overbooked our room and had us stay at another hotel, because the assistant manager didn’t process our reservation. Located near nothing. No restaurants, and the hotel didn't even serve breakfast. Overpriced. Small room. The TV remote control was no where to be found. Called the front desk was told a replacement would be delivered, "in a few minutes." After 45 minutes I gave up, posted the DO NOT DISTURB sign and undressed for bed. There was a knock at the door which I ignored the first time but answered it on the second knock. It was the front desk clerk with a remote. She apologized for the delay; she had been checking in other guests. It's not her fault she was nice, but the fact there was no one else on the property to help her out is unsatisfactory. Ignoring the DO NOT DISTURB sign was inappropriate. This was the first time I stayed at Candlewood. It will be a long time before I try them again. Room was nothing like described on your site. No smoking, no breakfast. Clean and the price was right. Bathroom sink water flow slow.